Happy Bloggers Challenge Friday! Thanks to those who played along with last weeks Backgrounds Challenge. 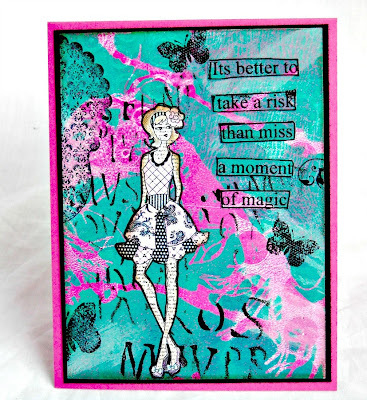 This weeks challenge is Emboss Me (any type of embossing)! Both of my cards feature Embossing Techniques from the April issue of Club CR8. 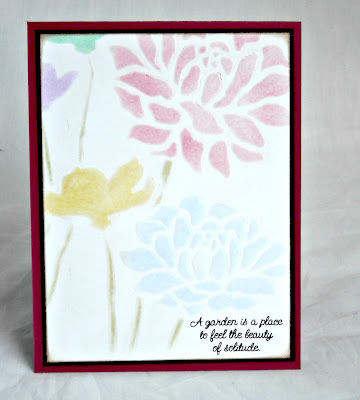 If you'd like to play along with this weeks Bloggers Challenge, please link back to this post on your blog and mention you created your card for the Bloggers Challenge Emboss Me Challenge. Please add your link using the Link Tool below, your link should be a direct link to your Bloggers Challenge Post, use your name as the Title. Please do not link to cards that were created prior to the challenge date. Entries not linking properly, or backlinked will be removed. If you have the captcha enabled on your blog, please consider turning it off, as it makes it so much easier to leave comments. Oooh La La! I love your stylin chick on the awesome background! The other card is so soft and charming! Very nice cards. 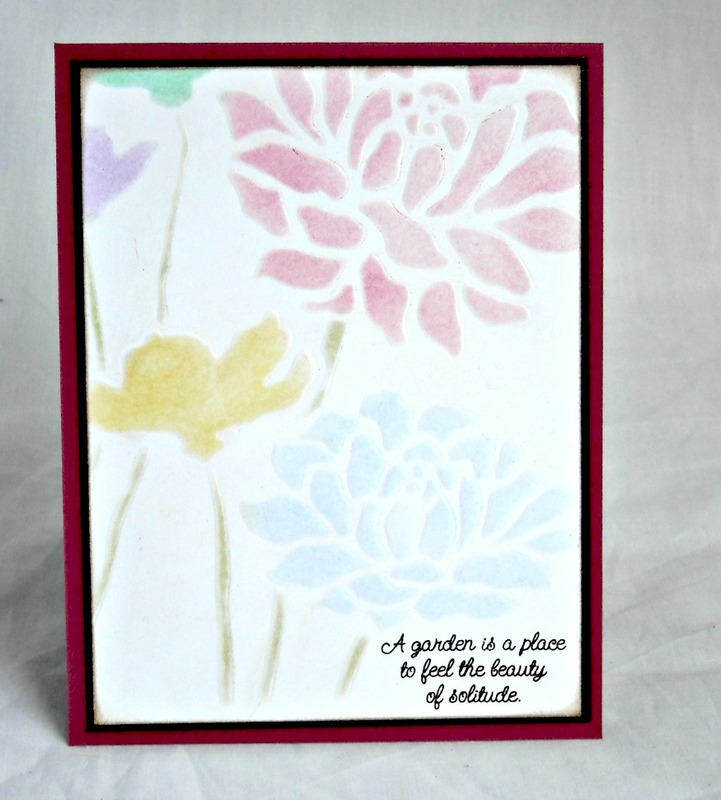 Love the soft feel of your 2nd card - Did you use embossing paste? The first one is so cute and I love the funky girl. Really lovin' your first card, very striking, and the 2nd is so soft and subtle! Two very different creations. Each equally beautiful.